Mid-season (‘mitja veda’, mainly small birds): 15, 21, 28 August and 4 September 2016. More details here. 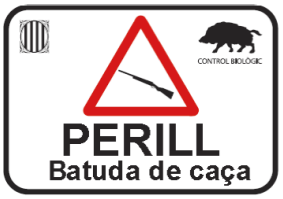 Small game (‘caça menor’, birds, foxes, rabbits): in general, on Sundays and public holidays from 9 October 2016 until 5 February 2017. More details about specific species here. Big game (‘caça major’, wild boar, deer, etc): Sundays and public holidays from 4 September 2016 until 26 March 2017. More details here. Hunting can be carried out all day, from an hour before sunrise to an hour after sunset. Hunting must take place more than 50 metres away from buildings and 25 metres away from public roads. 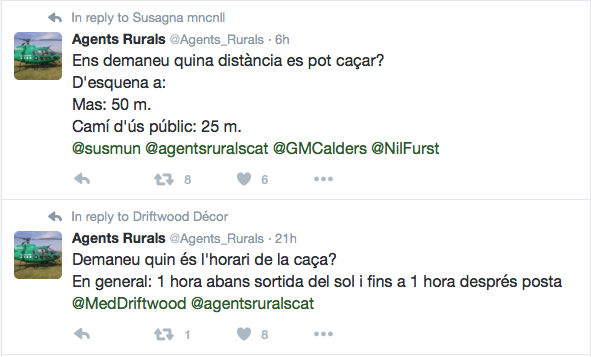 General information about hunting from the Catalan government is here.